"Dr. Patel and his staff are the best. Dr. Patel is caring and very thorough." "Highly recommende!! Very awesome doctor." "They were so easy to talk to over the phone. Super nice and understanding!" "Dr. Patel welcomed us with open arms and made us feel very comfortable." "I have three kids and this was by far the best prenatal care I have ever had." "Really nice people!! Best place to go while pregnant. Doc was very nice"
"Amazing care and staff. I wouldn't go anywhere else for my care!" Please dial 1 followed by the area code, 405, before giving us a call. Shaurin Patel, MD, is a skilled OB/GYN who specializes in women’s health issues at all stages of life, from prenatal care to menopause.  Born and raised in nearby Shawnee, Oklahoma, Dr. Patel serves the local community at the welcoming Oklahoma City offices of ObGyn Care of Oklahoma. Dr. Patel earned his medical degree from the University of Oklahoma College of Medicine. He interned in general surgery at Wayne State University in Detroit, then ventured to the East Coast for an obstetrics and gynecology internship at Nassau University Medical Center in East Meadow, New York. Finally, he completed his residency in obstetrics and gynecology at the University of Medicine and Dentistry of New Jersey in Camden. Upon returning to the Sooner State, Dr. Patel joined a multi-specialty group in McAlester, where he served as the chair of obstetrics and pediatrics for two years. He is board certified by the American College of Obstetrics and Gynecology and is a Fellow of the American Congress of Obstetricians and Gynecologists. Now, as a professionally practicing, board-certified OB/GYN, Dr. Patel excels in treating conditions such as high-risk pregnancy, pelvic pain, urinary incontinence, and menstruation issues, and routinely performs minimally invasive gynecologic surgeries. Since 2012, Dr. Patel has had one of the lowest cesarean delivery rates in the state of Oklahoma. Dr. Patel ultimately settled down in the Oklahoma City community he loves so dearly to be near friends and family. He is now married with three children. When he’s not in the office, he enjoys golf, basketball, traveling, and spending quality time with his family. We do In House Ultra Sounds. I want to thank you for helping me. Dr. Patel you are a great doctor. I'm glad I have ya'll as my OBGYN. Thank you for helping everyone that comes into the office. Ya'll are really nice doctors. I know ya'll like to help people out. We accept most major insurances and are very likely considered “in-network.” We have contracts with Blue Cross/Blue Shield, Aetna, United Healthcare, Tricare, SoonerCare, Oklahoma Medicaid, Medicare, etc. "Dr. Patel did an amazing job delivering my daughter by cesarean. He is very friendly and caring. He also did a wonderful job on my incision!" "I never felt like he was too busy for me and he made such a great effort in giving me his time and attention--which was SO appreciated since he delivered my first baby!" "Every time I call or visit, the doctor and staff make me feel like the most important person in the room. Definitely recommend." "Will be going to him for further pregnancies. Started with him in Cushing and went with him to Oklahoma City! Best Obgyn I could ask for." "Dr. Patel was great throughout my whole pregnancy. Any concerns and assumed complications were handled with great care in case of high risk and delivery!"